Chanteur Country US né Ramon Daniel "Ray" Pennington, le 22 Décembre 1933 à Clay County (Kentucky). US Country singer born Ramon Daniel "Ray" Pennington, December 22, 1933 in Clay County, Kentucky. 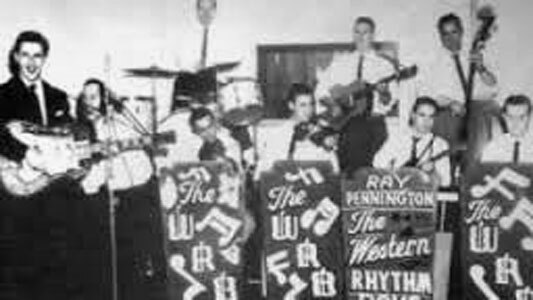 Pennington first performed in a western swing band called the Western Rhythm Boys, which performed in Ohio. 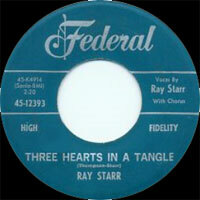 In 1958, he signed with King Records and released "Three Hearts in a Tangle" under the name Ray Starr. 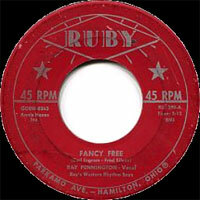 However, Pennington was dissatisfied with the recording, so he asked that it be withdrawn as a single. 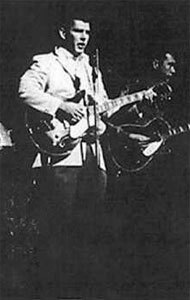 Pennington then took up record producer and artists and repertoire jobs at the label, including a production credit on Hawkshaw Hawkins' final album, Lonesome 7-7203, one of the first country albums to feature both black and white session musicians. He also produced for The Stanley Brothers and Reno and Smiley, also playing drums for the latter. Roy Drusky covered "Three Hearts in a Tangle", taking his rendition to number 2 on the country charts in 1961. 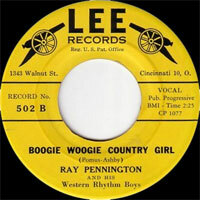 Pennington continued to perform in both the Western Rhythm Boys and another band called the Starliners. He also worked at a record store and released a rhythm and blues single called "I Have to Laugh to Keep from Crying", also under the name Ray Starr. Pennington moved to Nashville, Tennessee in 1964, where he worked at Pamper Music, producing for Tex Williams and Kenny Price, who recorded two of Pennington's songs: "Walking on New Grass" and "Happy Tracks". 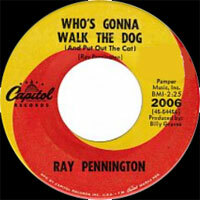 Pennington signed to Capitol Records in 1966 as a recording artist, charting three songs (including the number 29 "I'm a Ramblin' Man" before leaving. He moved to Monument Records in 1969, where he charted five more times, but soon left that label to work at RCA Records. While at RCA, Waylon Jennings covered "I'm a Ramblin' Man" and took it to number 1, as Pennington continued to work as a producer for RCA artists such as Billy Walker and Norma Jean. 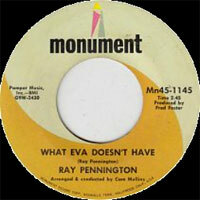 Pennington charted his last solo single, "She Wanted a Little Bit More", on MRC Records in 1978. 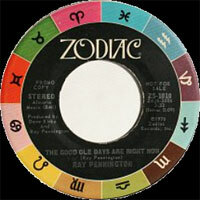 He later founded the duo Bluestone with Jerry McBee, and charted "Haven't I Loved You Somewhere Before". 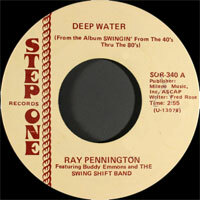 In 1984, Pennington co-founded Step One Records with Mel Holt. 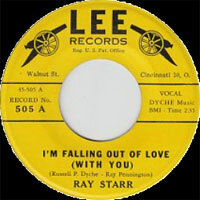 Ray Price was the first act signed to the label, and fiddler Clinton Gregory charted three Top 30 hits while on Step One. Western Flyer, Celinda Pink and The Geezinslaws were also among the label's roster. While on Step One, Pennington recorded multiple albums with the Swing Shift Band, co-founded with steel guitarist Buddy Emmons. This band charted with "Turn Me Loose and Let Me Swing" in 1988. Step One closed in 1998. 1985 SP STEP ONE SOR-339 (US) . 04/1985 SP STEP ONE SOR-340 (US) . 08/1985 SP STEP ONE SOR-343 (US) . 08/1986 SP STEP ONE SOR-362 (US) . 09/1988 SP STEP ONE SOR-392 (US) . Turn Me Loose And Let Me Sing / ? 06/1989 SP STEP ONE SOR-403 (US) . 09/1989 SP STEP ONE SOR-409 (US) .